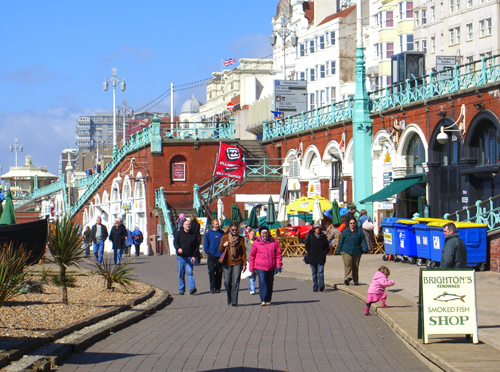 A seafront promenade and Victorian amusement pier in Britain's most exciting city by the sea. 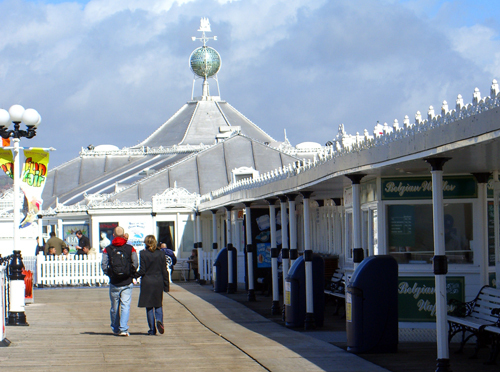 Once wildy popular holiday destinations, BritainÍs seaside resort towns suffered massive decline in the 1960Ís and 70Ís. 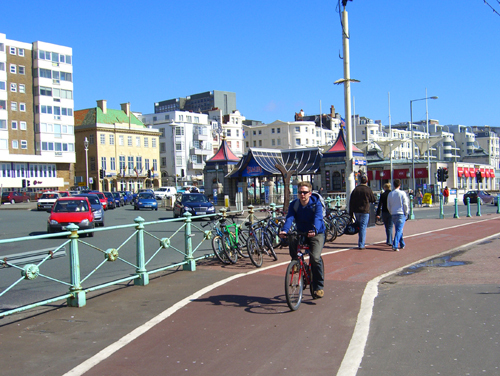 But strolling along the seaside promenade in Brighton, one canÍt help imagining that maybe this is what they were like during their heyday. 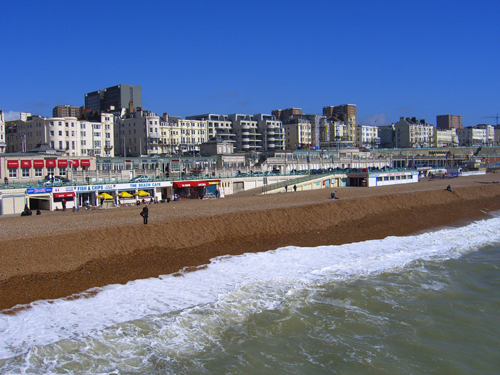 Throughout the years, Brighton has remained one of the countryÍs most popular seaside destinations. The seafront is lined with a mix of shops and cafes _ fish and chips stands, candy stores, souvenir shops, stores selling beach chairs and blankets, and the Fishing Museum. Along the ArtistsÍ Quarter, shops sell paintings, prints, and artisanÍs crafts. You can rent all kinds of equipment for watersports, fishing gear, rollerblades or bikes, etc. An assortment of bars and clubs gives you the feeling that this is an entirely different place at night than it is during the day. 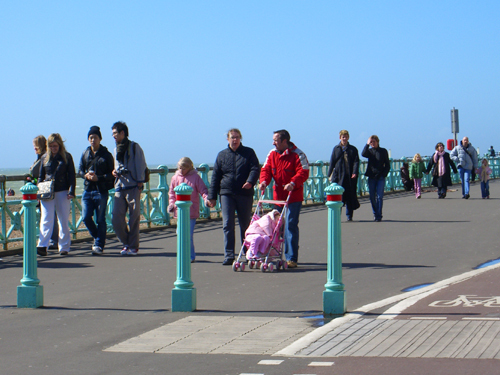 Though not all the shops are open in the off-season, the prom is a busy place year-round. Visitors are drawn to the shore, and revel in the exhilaration of walking along the seaside even on the most windy and blustery days. An esplanade is located above the shops, and offers yet more ground for strolling, biking and skating. It runs next to a busy highway, but there are ample pedestrian crossings, and crossing times are adequate, keeping people from getting stranded in the median. A staple of the seaside resort town is the "pleasure pier." 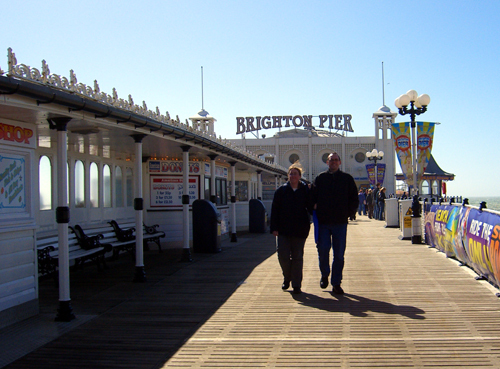 Brighton Pier, formerly the Palace Pier, was revitalized in the late 1980Ís, and is again a major attraction. 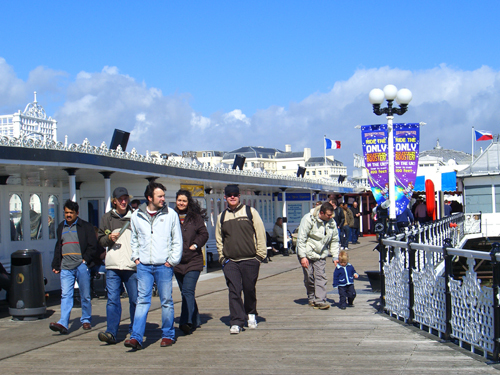 The beautiful Victorian-era pier houses a restaurant, chip shops and bars, a noisy but fun arcade, and an amusement park with rides for the whole family. Walking through the arcade, you are bombarded with the flashing lights and maddening sirens and buzzers of video games, but you soon emerge back into the salty sea air. 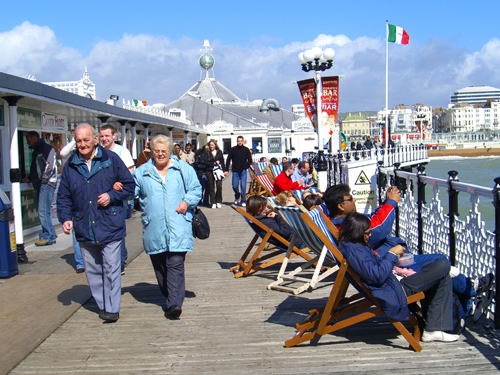 The pier is lined with benches to relax and take in the view. Deck chairs used to be available for a rental fee, but are now free and scattered along the pier. 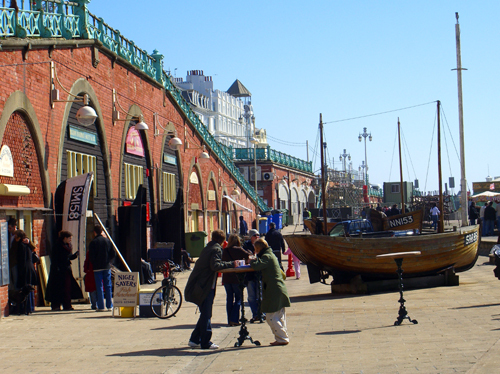 In fact, the Palace Pier used to charge an admission fee, but is now free and open to the public. Even with the modern amusement rides and arcade, the Victorian structure lends a feeling of nostalgia to the experience.